A teenager during the war years there was little football to be played. 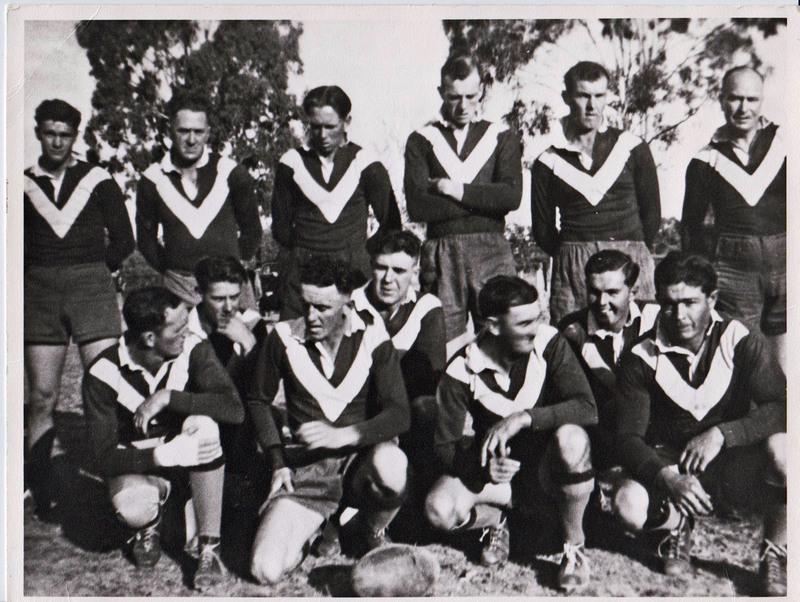 However in 1946 Wal played for the Stock team against local clubs like Wallendbeen and the Old Boys and Railway teams from Cootamundra. In 1950 he married Tessie Fitzgerald from a Cootamundra farming family and they settled in town, where they raised two daughters. Wal became an examiner for the railways – responsible for the safety of the braking systems of locomotives and rolling stock. 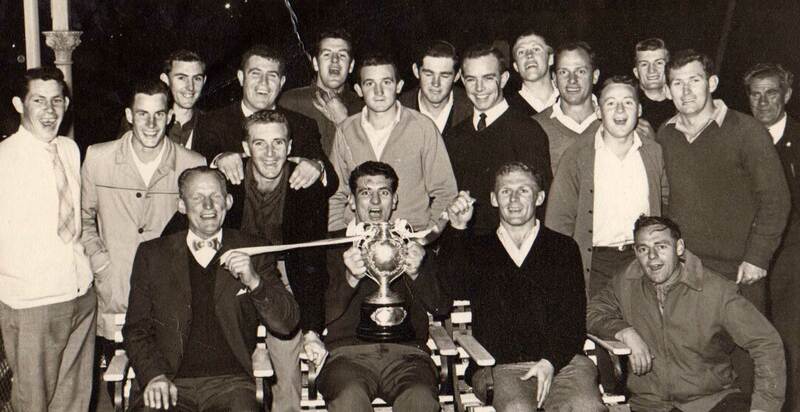 He continued to play football, representing Cootamundra – although not in Maher Cup teams. 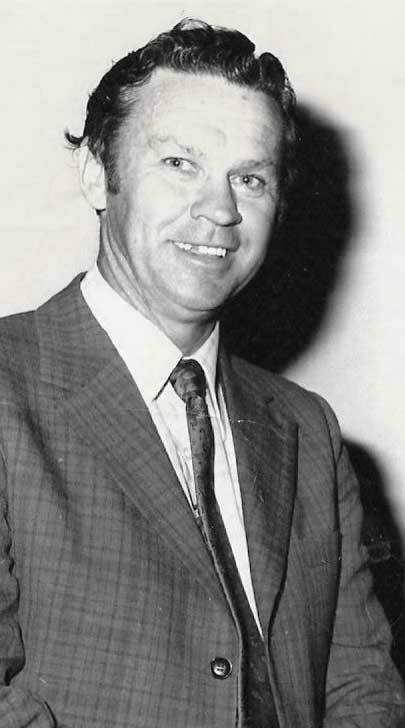 He also began his lifelong dedication to the Cootamundra Rugby League Club, eventually becoming secretary from 1972 to 1975, and stepping up further in 1977 to the very important (and stressful) role of Group 9 secretary. 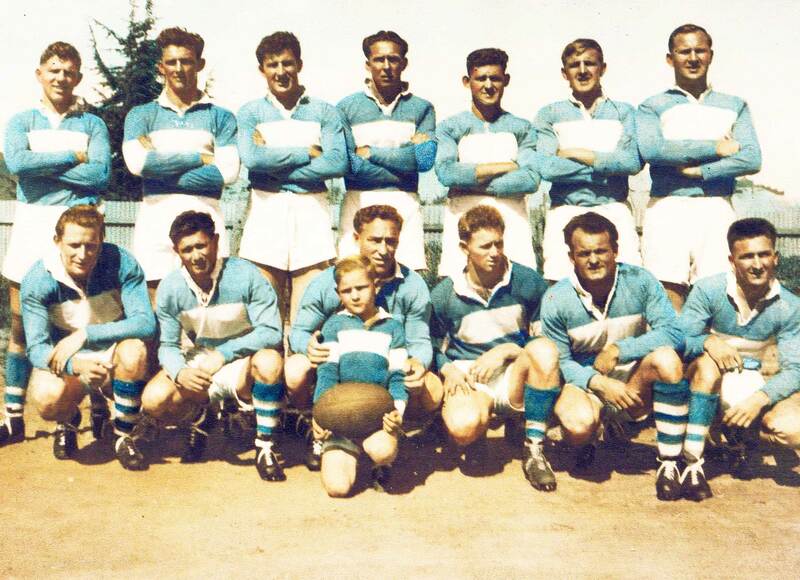 In 1982 he was also manager of the Caltex Divisional Country Rugby League (CRL) championships. 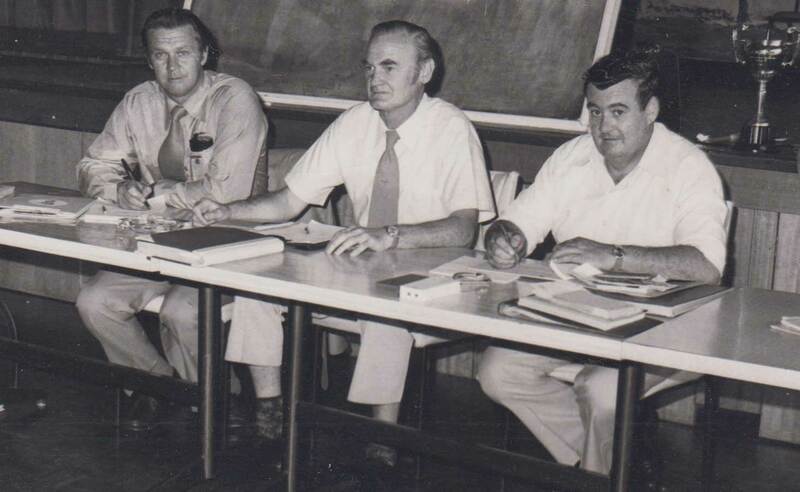 When Wal resigned in 1983 from the Group 9 role John O’Toole, CRL president congratulated him on his diligency, “meticulous attention to detail” and co-operative manner. After finishing as a formal official he simply become the club’s heart and soul, being granted Life Membership of the Cootamundra Football Club in 2009. No Cootamundra game, whether at home or away, would be without the support of Wal Gavin, quietly sharing his knowledge of how the team was playing with his mates. He liked big American gas-guzzlers like Dodges and Pontiacs, and enjoyed filling them with his mates, including barber Allan Crowe, Bill Boyd and Tony Morton, driving them to games far and wide. His daughter Susan remembers that in their later years Wal and Crowy’s legs were not as sturdy as they once were. At one crowded match they couldn’t drive into the ground so Wal parked around the back. He found a loose bit of fence and wrenched it up for Crowy and they just crawled in. At Fisher Park the old boys had their own section for viewing the games. Prime position in their eyes was the north side of the park to the left of the goal posts. They would be lined up in their fold up chairs, armed with their hot pies and the knowledge of what the outcome ‘should be’. They watched and replayed every move made by all grades. As ill health started to take over he could be found in his favourite seat in the members’ bar of the grandstand. During the week Wal would analyse the weekend’s games and suggest to all interested the mistakes make, as well as the appropriate team selections and tactics for the coming weekend. When the season was done he would focus on extending his extensive collection of historical letters, publications and photographs, making lists, notes and compiling information for the benefit of others. Always busy answering queries he would often make calls to old players and their friends and relatives to ensure that the requester received the correct response. He would think nothing of hopping in the car and travelling far and wide to follow information leads. It is this passion to preserve the history of the game that makes Wal Galvin such a seminal figure in the world of Rugby League in the Southwest Slopes and Riverina. He made many visits to the State Library in Sydney, where the staff all knew him simply as Wal. There he undertook the excruciating task of examining microfilm newspapers from all the Maher Cup towns, with the objective to compile an accurate and complete list of Maher Cup matches and their scores. With more than 700 matches recorded his opus was published as part of the Group 9 Yearbook in 1978. John Madigan in his book on the Maher Cup and Tumut, as well as Brian Hughes who updated Maurie Sheehan’s 1962 Maher Cup Story, both credit and reproduce Wal Galvin’s match lists and statistics. This web site and all of us who value history owe a big thanks to his dedication and perseverance. 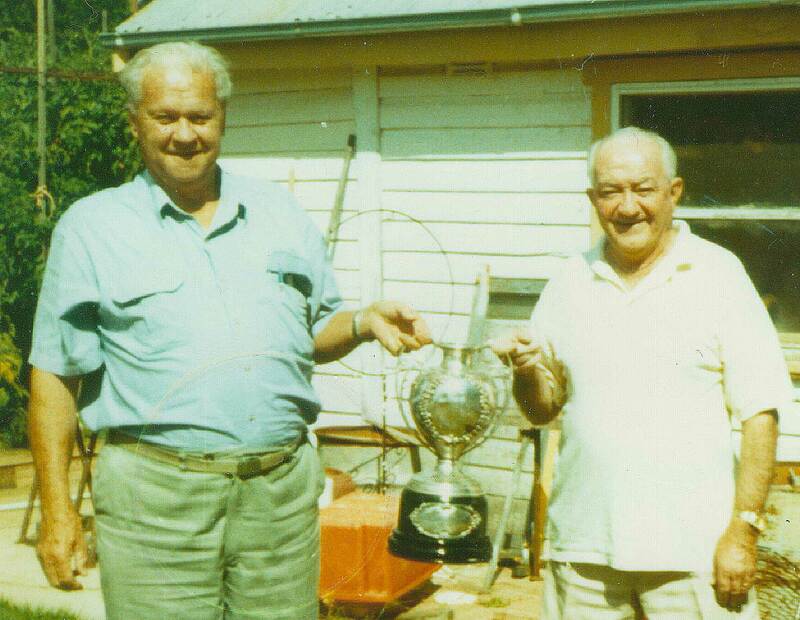 When the Maher Cup was to be transferred from the Tumut RSL to the National Rugby League’s new museum at Moore Park in Sydney, Wal was honoured to be pictured with the Cup in whose service and memory he dedicated so much of his time. Wal passed away soon after, aged 83. In 2014 he was posthumously honoured by the naming of the Wal Galvin Clubrooms above the grandstand. Here many of the historical photographs he sought out, purchased, collected and preserved can be viewed. 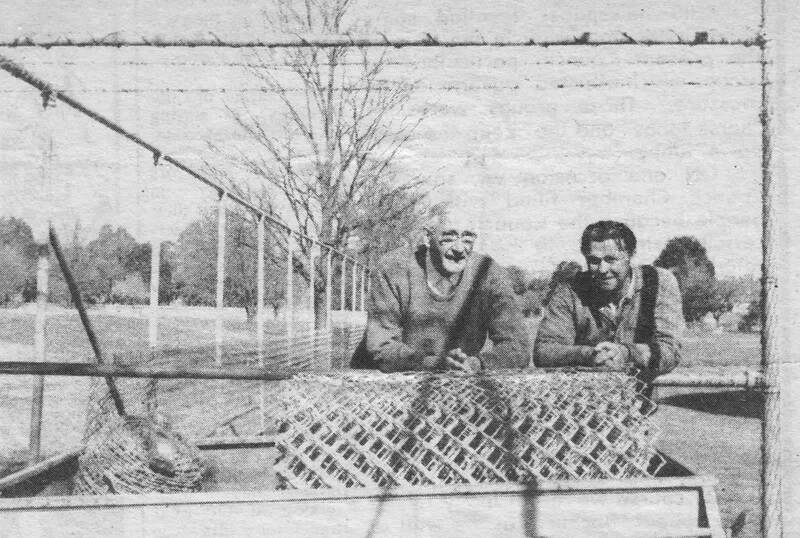 Below is one of the many pictures preserved by Wal Galvin to record our memories of happy days. Wal Galvin Clubrooms a Well-Deserved Honour. Cootamundra Herald 7 May 2014. 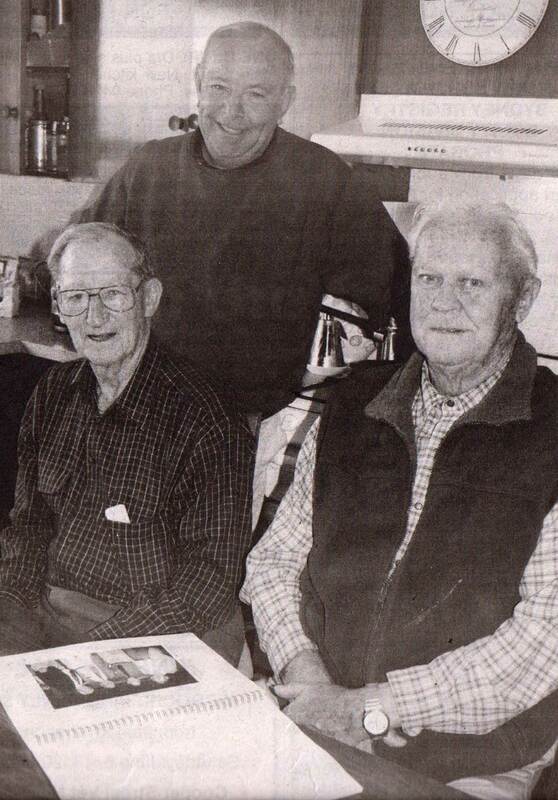 This entry was posted in People and tagged Cootamundra, Wal Galvin. Bookmark the permalink.